A couple of friends are pregnant or just had babies so I’ve been looking out for baby presents that are a bit different. These baby blankets by Carousel Belle are gorgeous and not your average run-of-the-mill designs, I had some trouble choosing just one so here are a few of my favourites. My hands-down favourite is this cowboy blanket. 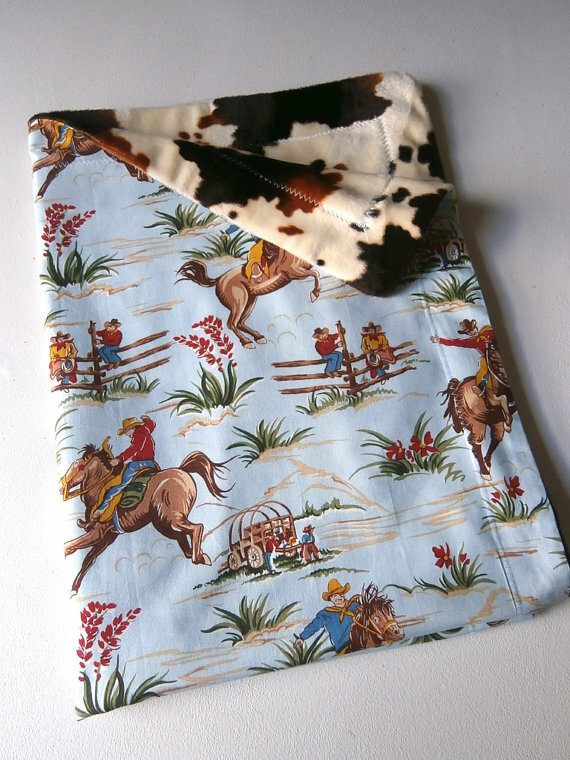 On one side is a soft cow hide design and the other is a print of cowboys rearing up on their horses, chatting on fences and doing other cowboys things. Know anyone due a baby in the moustache growing month of Movember? 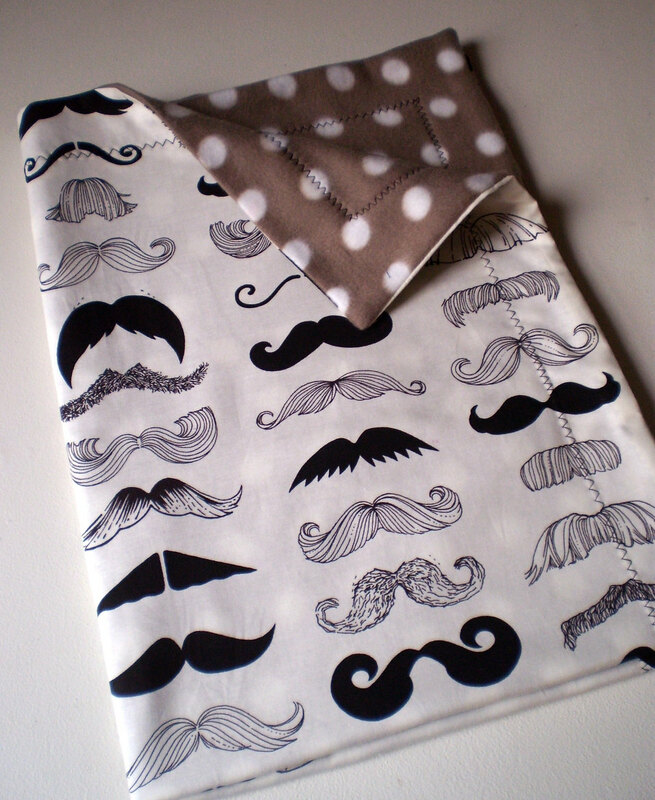 This blanket could be the perfect pressie, especially if Daddy-to-be is mustachioed for charity. 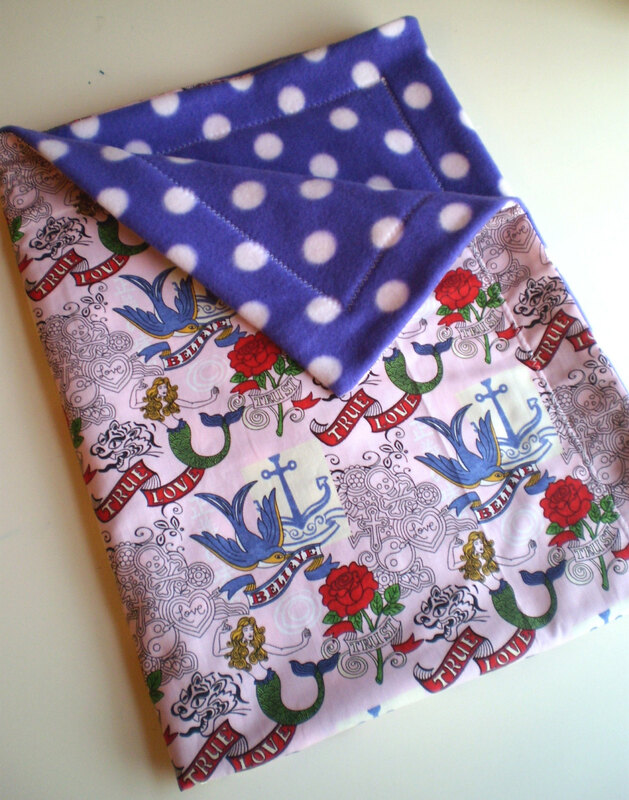 This vintage-style tattoo design is really pretty with the purple spotty fleece on the back. I just love the Frida Kahlo design. 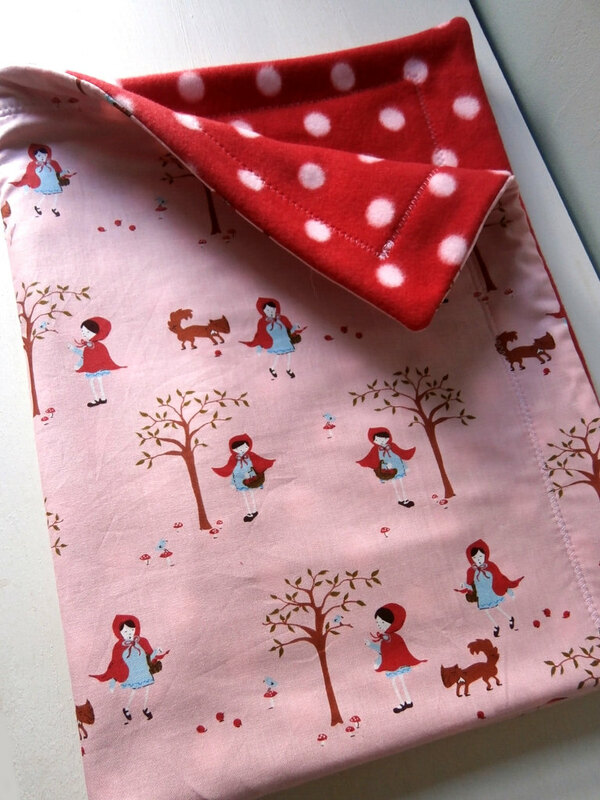 If you like your baby blankets a little more traditional, the Red Riding Hood blanket is sweet in clashy pink and red. 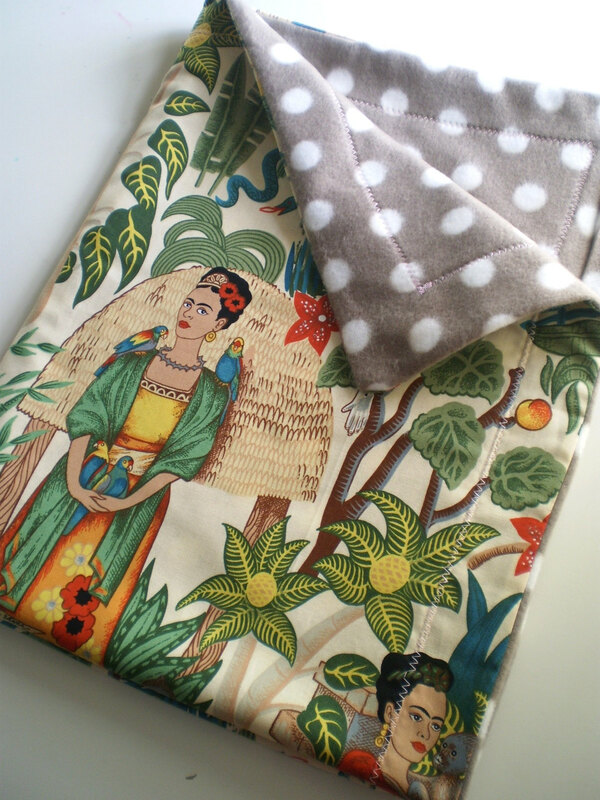 I could carry on showing you these gorgeous blankets all day as there is such a choice, check out the lovely London design that would be great for a Jubilee baby and the slightly macabre Day of the Dead designs. These are all under £20, which I think is a great price for such unique blankets. Which is your favourite? P.S. Apologies for the big gap in blog posts recently, life took over a bit! Lovely blog! and such a nice surprise!! !